Check your emails! Bzzagent sent out invites for a new CoverGirl foundation campaign! 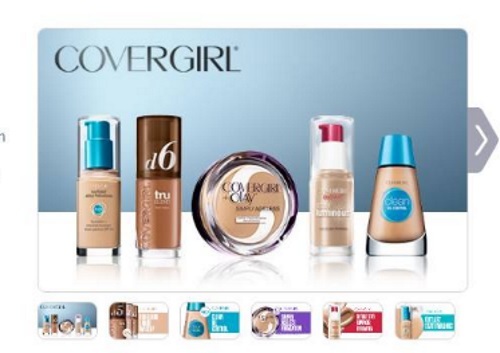 Choose one Free full-size bottle of CoverGirl foundation to review! The choices are: Clean Oil Control Makeup, TruBlend Liquid Makeup, Outlast Stay Fabulous 3 in 1 Foundation or CoverGirl + Olay Simply Ageless Foundation. Shades and supplies are limited. Pick the best available option for your face. Please note, not all Bzzagent members get chosen for every campaign, it greatly depends on your Bzzscore, demographics and other factors. To ensure that you get chosen for as many campaigns as possible that are suited for you, complete all your surveys! Sometimes invites don't come right away, log into your Bzzagent account below to see if you have invites for campaigns available! Click here to log into your Bzzagent account.